0It is well known in the art world that women have historically been underrepresented, not to say represented at all. The Guerrilla Girls first brought this fact up in 1984, availing from statistics that evidence that women artists and artists of color have been quasi absent in the art historical traditional canon. From then on, the Guerrilla Girls dedicated themselves to expose and challenge galleries, museums, critics, and collectors, in sum, the art world, about this issue. 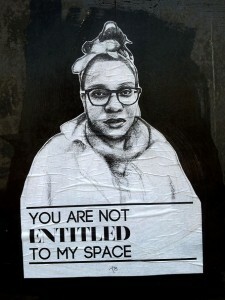 In the same tone, when addressing street art and graffiti, women have struggled to claim their places. As an often-illegal activity that requires a state of risk and alertness, and demands physical strengths and capabilities to for example climb walls and bridges, jump fences, and often run away from the police; street art has been, so far, a man’s world. Since the early 1980s, however, women started making their way through street art. Pioneers such as the born-Ecuadorian, raised in New York Lady Pink and her vibrant, surreal, emotionally appealing, versatile street art pieces that have occupied spaces that go from subways, to murals, to museums for more than three decades now; have set the path for bold, daring, independent, and highly talented women street artists around the globe that have earned national and international acclaim. Three women that particularly stand out from around the world are Tatyana Fazlalizadeh, Mira Shihadeh, and Alice Pasquini. 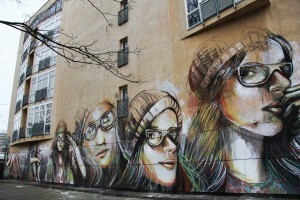 They have been highly recognized not only because they obviously are skillful artists but also because they utilize street art and graffiti’s original implications (art in public spaces with sociopolitical statements) in order to communicate and denounce female historical and current issues such as violence against women, objectification, street harassment, and sexualized representations of women. Deanna, Chicago, 2013. Photo taken from Tatyana Fazlalizadeh’s website. 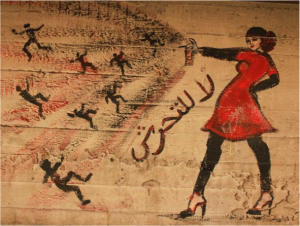 “No to Street Harassment,” by Mira Shihadeh. Photo taken from Arts.Mic. Alice Pasquini is an Italian street artist, painter, illustrator, and designer with a degree in Fine Arts from the Academy of Fine Arts in Rome, Italy and a Masters degree in Critical Art Studies from the Universidad Complutense in Madrid, Spain. She is interested in human interaction and emotions. In her work she also addresses women’s daily lives, sexualization and objectification, creating characters that are independent, strong, and shatter stereotypes about gender and femininity as well as challenge the controversial gendered-gaze. Examples of these powerful women are in her outdoors works at the Villagio Olimpico: Ri-Ciclo Officina in Rome from May 2012, her murals from March 2013 in Philadelphia, and a mural featuring six female faces in different positions, smiling, staring at the viewer, at a building in Berlin from January 2014. 1) Fazlalizadeh, Tatyana. “Artist Statement,” http://www.ceruleanarts.com/images/face_to_face/tlf_statement.pdf (accessed August 26, 2014). 2) Pabón, Jessica. “Wipe It Off and I Will Paint Again,” Muslima: Muslim Women’s Art & Voices, International Museum of Women http://muslima.imow.org/content/wipe-it-and-i-will-paint-again (accessed August 27, 2014). 3) Hawkins, Chelsea. 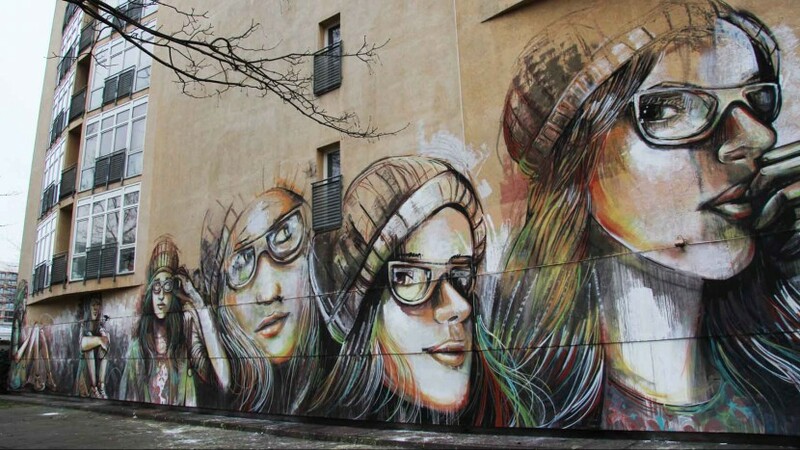 “21 Daring Women Proving Street Art Isn't Just a Man's Game,” Arts.Mic (March 27, 2014) http://mic.com/articles/85809/21-daring-women-proving-street-art-isn-t-just-a-man-s-game (accessed August 25, 2014).